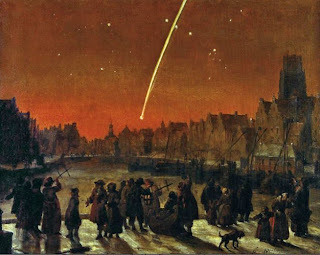 characteristics as the Great Comet of 1680. Be sure to keep tabs on comet C/2012 S1 (ISON), which is hurling toward a close approach with the sun this fall. Even though ISON is still a long way away, located just inside Jupiter’s orbit, it has already formed a tail of gas and dust stretching 90,000 km. This is thought to be the comet’s first pass into the inner solar system and promises to provide us with a spectacular show between November 2013 and January 2014 after it has its close encounter with the Sun. C/2012 S1 was discovered in September 2012 by two amateur astronomers using the International Scientific Optical Network in Russia, hence the nickname ISON has been adopted by the media. ISON has been recently observed by NASA’s Deep Impact spacecraft. Deep Impact, which was launched in January 2005, was originally used to study comet Tempel 1 by hitting the comet with a small metal probe then doing a close flyby to study the debris it kicked up. In 2010, Deep Impact flew past comet Hartley 2 and is now on its way to a January 2020 visit to a near-Earth asteroid that is large enough and close enough to us to be classified as a potentially hazardous object (PHO) by NASA. C/2012 S1 will be well placed for observers in the northern hemisphere during the last two weeks in December 2013. Some speculate that if it does not break up as it reaches perihelion it could become brighter than the moon at its peak, but many sungrazing comets do not survive the encounter. It has been calculated that as it nears the Sun it will reach a peak temperature or 2,700°C, hot enough to melt iron. ISON’s orbital path is similar to that of the Great Comet of 1680, another sungrazer that is also known as Newton’s Comet because Isaac Newton used it to verify Kepler’s laws of planetary motion. 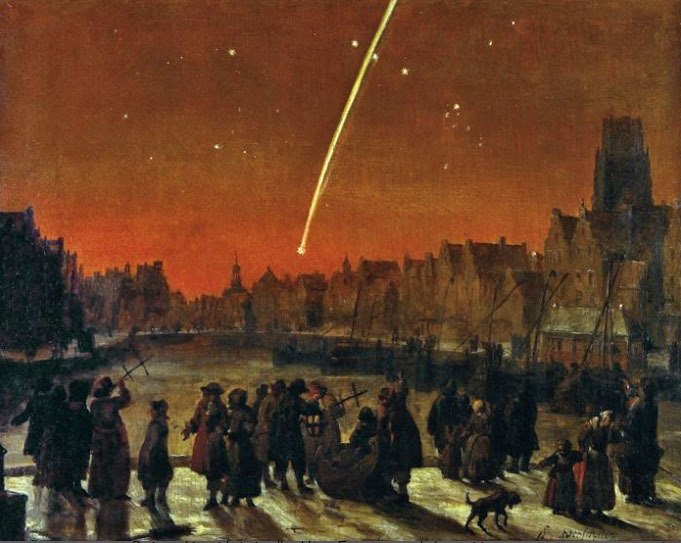 Newton’s Comet was one of the brightest comets of the 17th century. It was noted for its extremely long tail and at its peak it was bright enough to be seen during the day. Time will tell if ISON will someday be known as the Great Comet of 2013.